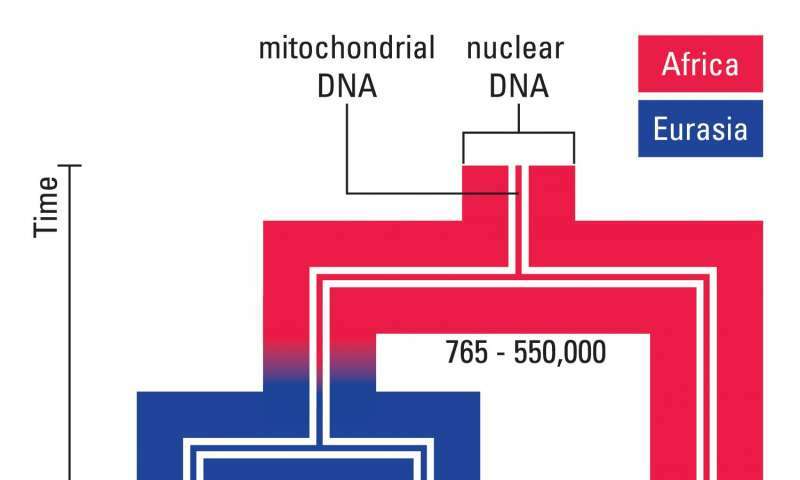 Prior research analyzing nuclear DNA from Neanderthals and modern humans estimated the split of the two groups at approximately 765,000 to 550,000 years ago. However, studies looking at mitochondrial DNA showed a much more recent split of around 400,000 years ago. Moreover, the mitochondrial DNA of Neanderthals is more similar to that of modern humans, and thus indicates a more recent common ancestor, than to that of their close nuclear relatives the Denisovans. There has been debate about the cause of these discrepancies, and it has been proposed that a hominin migration out of Africa might have occurred prior to the major dispersal of modern humans. 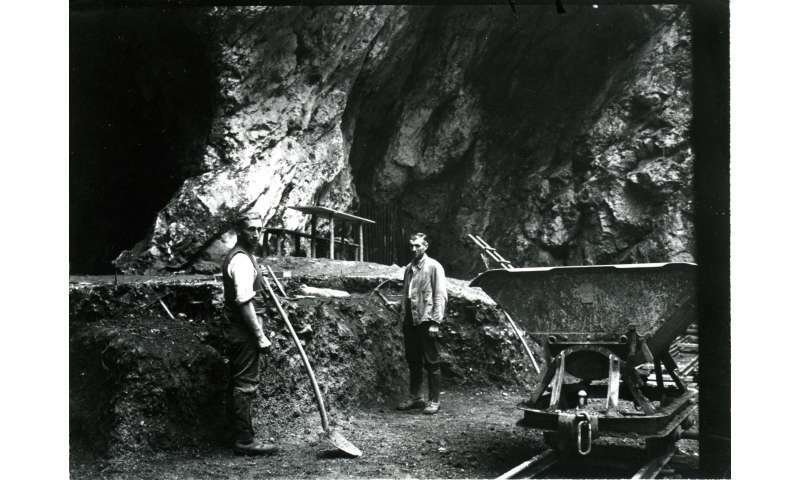 This human group, more closely related to modern humans than to Neanderthals, could have introduced their mitochondrial DNA to the Neanderthal population in Europe through genetic admixture, as well as contributing a small amount of nuclear DNA to Neanderthals but not to Denisovans as recently detected. However, more data was needed to evaluate the feasibility of this scenario and to define the temporal limits of the proposed event. The femur of a Neanderthal excavated from the Hohlenstein-Stadel Cave in southwestern Germany provided just such an opportunity. "The bone, which shows evidence of being gnawed on by a large carnivore, provided mitochondrial genetic data that showed it belongs to the Neanderthal branch," explains Cosimo Posth of the Max Planck Institute for the Science of Human History, lead author of the study. 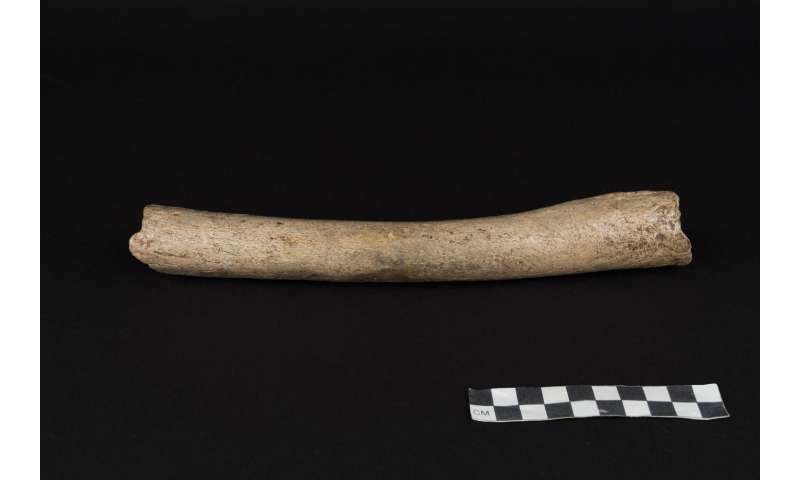 Traditional radiocarbon dating did not work to assess the age of the femur, which was instead estimated using the mutation rate as approximately 124,000 years old. This makes this Neanderthal specimen, designated HST by the researchers, among the oldest to have its mitochondrial DNA analyzed to date. Interestingly, it represents a different mitochondrial lineage than the Neanderthals previously studied. The mitochondrial lineage of HST and of all other known Neanderthals separated from each other very deeply in time, at a minimum of 220,000 years ago. The differences between their mitochondrial DNA indicate that there was more mitochondrial genetic diversity in the Neanderthal population than was previously thought. This suggests that the Neanderthal population size once was much bigger than that estimated for the final stage of their existence. This boils down to women being taken to be used to make and raise babies. Their mitochondria survive, but the rest of their genetic history seems to be lost. Apparently their mitochondria was superior somehow to the existing versions and thus was preserved.